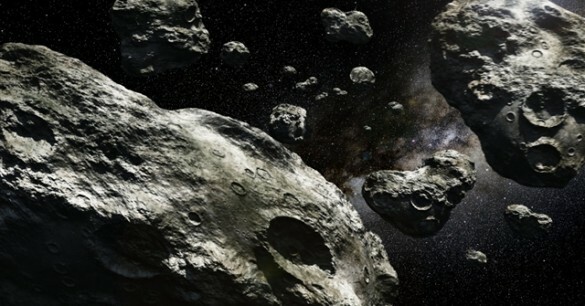 Home » Can You Make Big Money Hunting Asteroids? Stuck in a dead-end job? Looking for a field with infinite potential? Are you able to spend long hours looking up? Then you could be qualified for an exciting new career hunting asteroids! OK, don’t quit your day job just yet. On March 17, 2014, NASA launches the first phase of its NASA and Planetary Resources Asteroid Data Hunter challenge. NASA has teamed up with the asteroid mining company Planetary Resources to create a contest to help them locate asteroids, harness their resources and potentially stop them before they do something serious like collide with our planet. In this challenge, we are tasking competitors with developing a significantly improved algorithm to identify asteroids in images from ground-based telescopes. The winning solution will increase the detection sensitivity, minimize the number of false positives, ignore imperfections in the data, and run effectively on all computers. The competition is broken down into a series of contests running from March 17 through August 2014. It offers a total of $35,000 in prizes, with each individual contest offering cash for first and second place and some offering an additional reliability bonus based on past performance of the contestant. It’s all explained in greater detail on the contest web site, where you‘ll also find instructions for registration and entering. By opening up the search for asteroids, we are harnessing the potential of innovators and makers and citizen scientists everywhere to help solve this global challenge. With a chance to save humanity and better odds than winning the lottery, what are you waiting for?